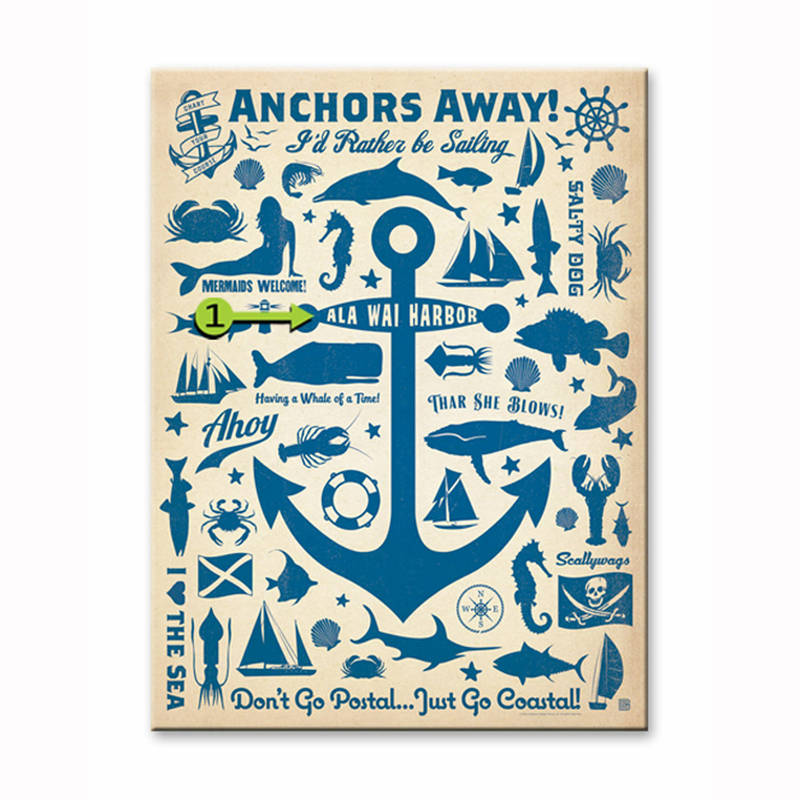 Bring vintage coastal style home with the Anchors Away 28 x 38 Personalized Sign. This sign has the phrase "Anchors Away!" and various beach and nautical silhouettes. Can be personalized with your name or location for a customized gift or accent.